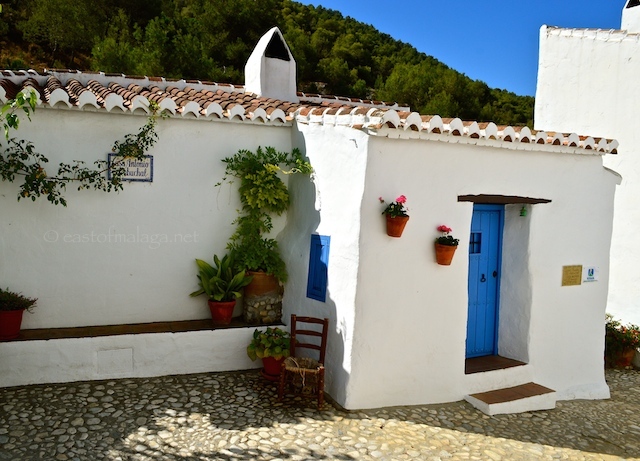 Situated close to the border of the provinces of Granada and Málaga and coming under the control of Cómpeta, El Acebuchal is actually nearer to Frigiliana in terms of distance – yet a world away from the hoards of holiday-makers visiting the Costa del Sol. The name comes from the Arabic “acebuche” meaning olive, and even though we know of its existence since 17th century, it is thought to have been inhabited long before then. El Acebuchal was an important staging post on the ancient mule-trading routes between Competa, Frigiliana, Nerja and the inland city of Granada. Fresh fish caught on the coast and locally grown crops including tomatoes and raisins were traded for chickpeas, wheat, lentils and other goods not easily available in the nearby mountains. Life was hard for the inhabitants, as it was in most of rural Andalucía, but became even more difficult when they were caught between the Franco regime and guerrillas in the aftermath of the Spanish Civil War. Authorities had long suspected the villagers of supporting Republican rebels hiding out in the mountains, by providing them with food and refuge. In truth, the villagers were literally caught in the crossfire, and hassled from both sides. 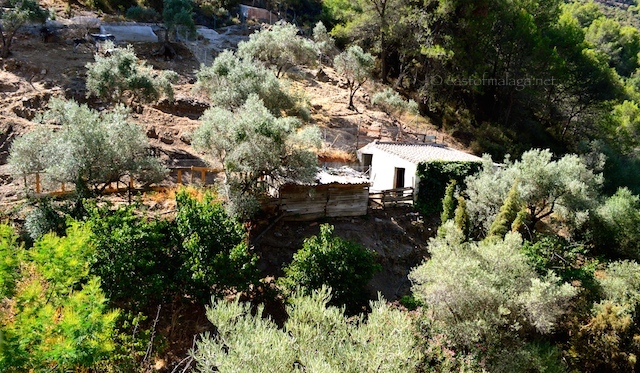 In the summer of 1948, the villagers paid a heavy price for their isolated location in the mountains when the Guardia Civil ordered that El Acebuchal be cleared of its 200 inhabitants, who were forced to flee, leaving behind their homes, belongings and livestock. The abandoned mountain hamlet soon fell into disrepair and eventually into ruins, becoming known locally as “The Lost Village” or “Pueblo el Fantasmas” – The Village of Ghosts. 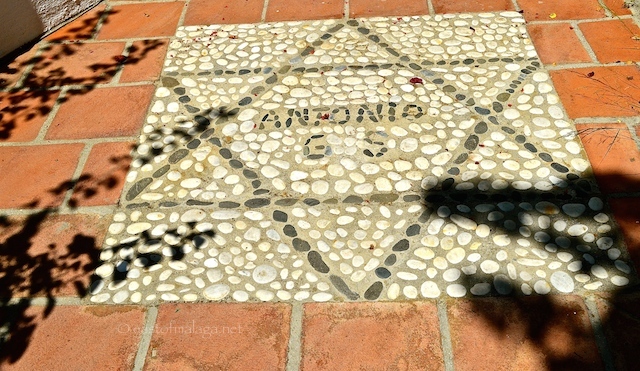 Fifty years later in 1998, Antonio García Sánchez, son of one of the original villagers, returned with his wife, Virtudes and family to restore a couple of houses in the village. Once these were completed, they rebuilt a further five houses and the tavern when they noticed an increase of rural tourism in the area. People were starting to return to El Acebuchal. This family’s adventure became contagious as other former residents turned their attention back to their old family homes to begin their restoration, so that today, all 36 houses, the chapel, tavern and cobblestone streets have been returned to how they once were. If you head to El Acebuchal and discover the tavern during the morning, you will probably find Antonio and some of his family gathered on the shady terrace opposite, performing some of their duties. The tavern restaurant serves dishes appropriate for the mountain environment: choto (kid), lamb, wild boar, rabbit and venison, with delicious home-made cakes and bread. 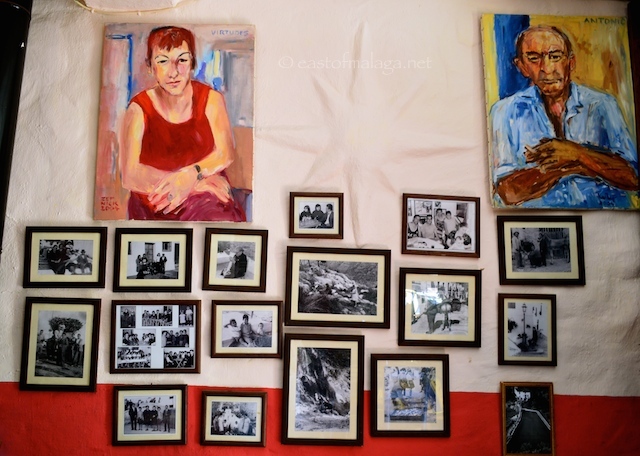 Step inside the tavern and you will find the walls proudly lined with old photos of El Acebuchal and its former residents. Whenever I visit, I always find myself lingering a while, trying to imagine what life must have been like for these people. With only a handful of permanent residents, most people you see around the streets are visitors, hikers or holidaymakers staying in one of the village rental properties. The countryside near to the isolated hamlet is almost deserted except for the crumbling ruins of long-abandoned cortijos. There are plunging ravines, tinkling streams, mountain slopes covered with pine trees and the rocky crags of the mountain tops reaching up to the blue skies above. This area is ideal for visitors who want to get away from it all …. and you can certainly do that in El Acebuchal as there is no telephone reception, no shops, credit cards or internet. Rural tourism has breathed life back into the village which has risen like a phoenix from the ashes. There are main two routes to El Acebuchal. You can get there from the Cómpeta-Torrox road (A7207), where you turn off near to the Km 8 road marker. Follow the direction signs for El Acebuchal. Here you will face a 6.5 kilometre un-made mountain track to the village. It’s not for the faint-hearted as there are no barriers, but it’s certainly drivable – and you don’t need a 4-wheel drive to do it. Along the way you will drive through a stream and see spectacular scenery. It’s quite an adventure! 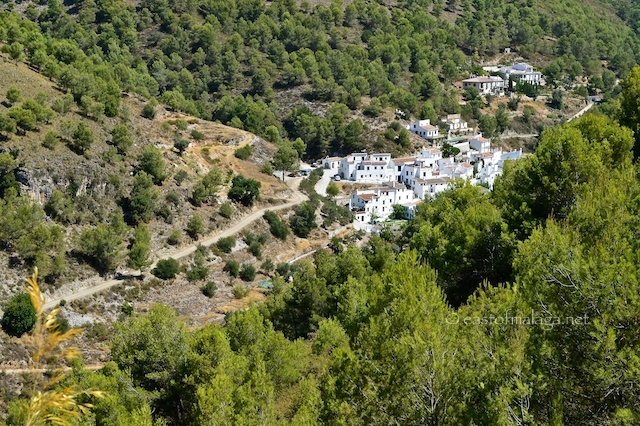 Alternatively, the more popular and shorter route is from the village of Frigiliana. Take the scenic back-road towards Torrox, and after two kilometres you will see the turn-off sign to Acebuchal on your right. This road is asphalted – except for an easy 1500 metre section near to the village. Tell me – would YOU dare to drive along an unmade mountain track with no barriers? This entry was tagged Andalucía, Cómpeta, culture, East of Malaga, Europe, life, Malaga, photography, Spain, travel, white villages. Bookmark the permalink. Hi Marianne, I am planning a visit to Competa in late April and during that time I should like to take my walking group to visit El Acebuchal and see that wonderful restored village. Is it possible to return to Competa by a walking trail from there. I believe that it is a very interesting walking area. This will be our third visit to La Axarquia and each year we discover some very interesting places in that enchanting Natural Park. Sorry for the delay in responding, Tom. The only walking trail I know of is the one I have described in the article leading back to the Competa-Torrox road (probably about 5-6 kilometres from El Acebuchal) – but once you arrive at the road, there are various trails and goat tracks leading towards Competa to save you walking up the road. Having never done that myself though, I’m at a disadvantage to be able to advise you. If you follow my page on Facebook (www.facebook.com/eastofmalaga.net) then there is a man who regularly comments there called Ron Adam, who is a terrific local hiker and who, I think, may be able to help you. Hope you have a GREAT time with your group! Can’t really give you any detail on actual routes you mention But I have walked from Frigilliana to ace Buchanan several times ,really great walk. Just a little pointer of help a book Walking in Nerja is a great book outlining a lot of walks around that area . Written by Jim Ryan who I think is a Cork man . You can buy it on Amazon ,can highly recommend it. You clearly know the little village and its history really well, so I wonder if you can tell me more about the history of the mural on the abandoned house above the village. We visited El Albuchal today and I read the tragic story of the young girl who had lived in the house. I also photographed the mural to read again later. Is there any fact to the story or is it a myth? The girl is not named – although her cousin is – yet we are told she was made a saint. It is quite a story, even if only true in part. I’d be happy to know any further detail anyone knows about this strange story. We loved our visit and walk today and, like others who have commented here, we hope that the village can retain its character. Thank you for the lovely photos of the village and the details of its history. So glad you enjoyed your walk. El Acecuchal is a very special place . Marianne, By pure chance I have just found this site and just had to relate an experience I had back in 2006. In early April my wife and I had spent a week at a villa, up in the mountains to the north west of Frigliana. On the evening of the second day I went for a walk in the hills and found this dirt track – not far from where we were staying – which ran along the right hand side of a valley. It was a beautiful evening, quiet and peaceful and the scenery spectacular. Eventually I passed through what I took to be an old abandoned quarry. By this time it was growing quiet dark, but the place was so magical that I just could not stop walking. Some time later I happened see down through the trees, on the opposite side of the valley – the eerie sight of mostly ruined buildings bathed in bright moonlight, with not a sign of life to be seen. I just stood and looked down at this ruined village and wondered what had happened to the people that had once lived there. Reluctantly I retraced my steps and eventually arrived back at the villa well after midnight. To say that my wife was worried would be something of an understatement; for I had been out for well over five hours; having told her that I was just going for an evenings stroll! But the memory of that evenings walk has remained fresh in my memory. Back then It looked so different from the present day pictures and I can only admire Antonio and Vertudes for all the hard work that has gone into restoring this ruined village. There is now a landline at the bar and they accept credit cards: how times change! 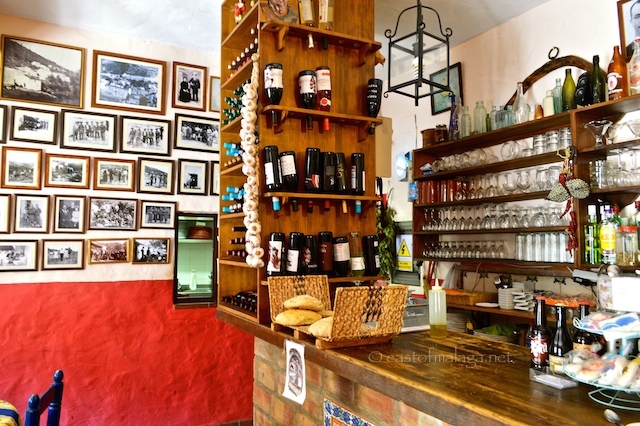 The bar/restaurant is still outstanding but often very busy with cyclists, horse trekkers, walkers, 4×4 adventure trips – not to mention the normal visitors who drive their own cars there. We live in Cómpeta and enjoy visiting El Acebuchal several times per year – certainly if we have visitors staying. Antonio is still as friendly as ever and desperate to sell his (not cheap) but delicious honey and other home-made products. The home-made bread and ice-cream in the restaurant are incredible. Long may it reign supreme! OOHHHH … moving FAST with the times, now!! That’s good to know – thanks Graham 🙂 Yes, El Acebuchal is always on our guest visiting list, too! Only just seen this post – looks a great place. And yes, I have driven up unmade roads, no barriers in the past – not sure I could do it now!! Oh, thanks for this! I’ve just sent your link to my sister in Melegis and we will put it on our list for a visit in September. Maggie’s suggestion of going by horseback makes a visit even more enticing! What a story! And thanks for writing about it I’ve never heard of it before. Your photos make me want to go there right away. It would be great to disconnect, sort of like a digital detox! 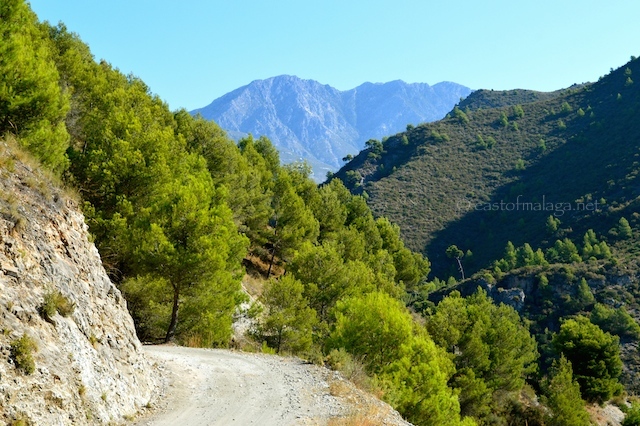 Next time you come over to Nerja, head up to Frigiliana and then just go that bit further to El Acebuchal. I have just fallen in love with this village! I can imagine this to be a wonderful place to get away from it all and just fill with its beauty! It’s certainly a place to get away from everything, Angeline. A few years ago, I went to the tavern I have described, for a wonderful Christmas lunch with lots of friends. It was a great setting! What a lovely trip, thank you Marianne, great pics also. another place I have tried to find ….Twice !! spent two wonderful days driving those mountain roads, sensational !! did not see another soul all day, one day was so windy it was pushing the car sideways towards the edge !! stunning scenery though real soul food ! It’s most definitely easier to find El Acebuchal from Frigiliana. Go up from the motorway towards Frigiliana but when you get there, keep the village on your right and keep going – up the hill after the village. About two kilometres (or a bit more) further on, look out for the signs for El Acebuchal on your right. There are great views over Frigiliana and Nerja from here too, before you drop down into the Lost Village. Hope you find it, Roberto 🙂 Merry Christmas. Thanks for the directions Marianne, will have another try from the other side ! Hope you have a wonderful time in Granada and the sierras and get your share of snow ! Felíz Navidad. What a beautiful place! I will try to remember this when I visit in February, I will have a very full trip next time income, thanks to all the beautiful places you keep posting 😉 Thanks. Have a lovely Christmas. Feliz Navidad! Very best wishes for Christmas and 2015. It’s been very hard work for them as they only had electricity re-connected in 2003. Great job, though! Looks like a place I’d enjoy very much, though I might miss my internet. I LOVE to visit El Acebuchal – it’s like stepping back in time, David. I’m normally only there for a couple of hours and after enjoying a delicious lunch at the (only) tavern it’s normally time to check my messages again! What a beautiful place. I would love to visit one day, and the drive wouldn’t bother me…much! Yes, indeed, El Acebuchal is now a delightful place to visit … it’s like another world. Ah, Marianne, I have missed my mountains so much after almost four weeks in the UK – thanks for these lovely photos. My favourite form of transport into el Acebuchal is on horseback – my own lovely Liana of course. But there is a trekking stable a few km’s from Acebuchal (Los Olivillos – highly recommended http://www.los-olivillos.com) that take rides out to the village for a bite to eat in the restaurant . My last trip to the village was with my spanish friend Pepe, who invited me to join him for a ride. When he arrived at our meeting place, he was accompanied by eight hombres, and I experienced a very interesting ride to Acebuchal. I wrote about this fabulous day on my blog http://wp.me/p3azEo-wVm. It is a beautiful place to spend an hour or two and the food at the restaurant is fabulous – certainly not to be missed by any visitors to the area. Ah yes, of course, Maggie … I can imagine how wonderful a ride this would be on horseback. 🙂 Thanks for sharing the link to Los Olivillos.